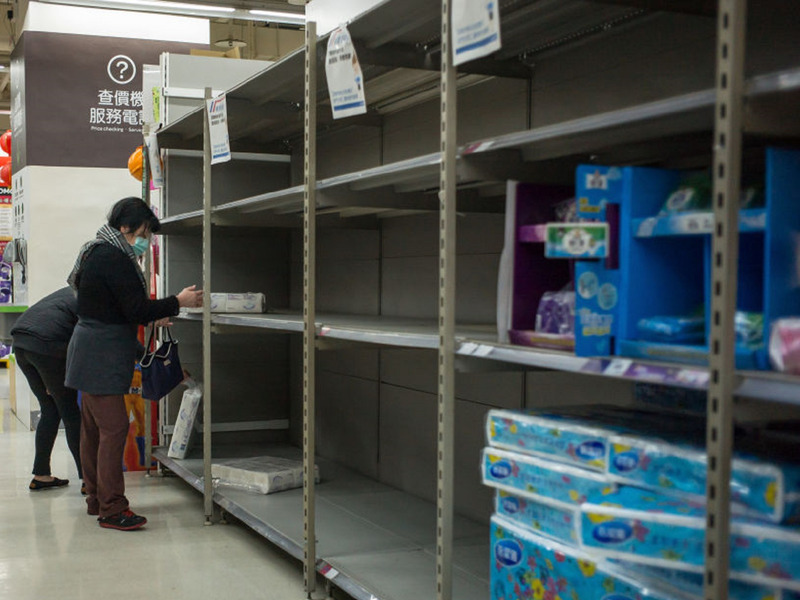 Taiwan has is experiencing a rise in toilet paper prices, triggering shortages in stores around the country and leading some businesses to take drastic measures to conserve limited supplies. An employee at Sesame Street English, an English-language school in Taipei’s Neihu District, told Business Insider that her school locks up its toilet paper rolls and makes employees log their usage daily. Now that toilet paper is more expensive, the school has created a “checklist” system to keep track of how many individual pieces of tissue employees are using throughout the day. Taiwan has been is experiencing a rise in toilet-paper prices, triggering shortages in stores around the country and leading some businesses to take drastic measures to conserve their limited supplies. According to an employee at Sesame Street English, an English-language school in Taipei’s Neihu District, the school does not supply toilet paper for students, and began requiring its employees to sign out toilet paper rolls from a locked cabinet before use. Rebeccah White, 23, a foreign English teacher at Sesame Street English, noticed some striking workplace changes when she first moved from Florida to Taiwan in 2015. “This is the fourth school I’ve worked at in Taiwan since moving here where they keep their toilet paper in a separate, locked cabinet and only employees can use it and need to check the rolls out first,” she told Business Insider. White explained that school bathrooms do not supply toilet paper in the stalls, and that employees and students are expected to bring their own supplies. White explained that at her school, only select administrators have the keys to the toilet-paper closet, and employees and students are required to ask permission to “check out” rolls when they require a bathroom break. “Kinda like a library book,” said White. White added that since the price of toilet paper began to skyrocket, the paper policy has become even more strict. The school now uses a “checklist” system to keep track of how many individual pieces of tissue employees are using throughout the day. Employees are expected to write down how much paper they are using, which is monitored by the administration. 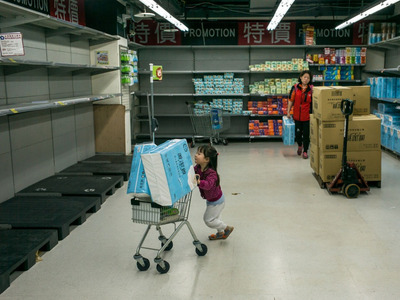 The price of fibre pulp used to make toilet paper and other paper goods rose in Taiwan, causing prices to rise in supermarkets by as much as 30%. White says the price rise caused panic, leading many locals to rush to supermarkets to stock up, leaving shelves bare. White reported that many businesses, including other schools and public areas, do not provide toilet paper to its customers. The price of toilet paper is expected to fall in the coming weeks, but the panic created from the price gauge made waves through public policy. The government investigated five major supermarket chains and three paper producers, suspecting that major companies worked together to spread news of boosting prices, causing anxious shoppers to sell-out stores. The Taiwan Fair Trade Commission said on Wednesday it plans to penalise popular supermarket chain RT-Mart NT$3.5 million ($US119,800) for a misleading the public on price hikes which led to nationwide shortages, English-language daily, Taiwan News, reported.